The florists faom must soaked appropriately and all stems must be pushed far enough into it so that materials will not become dislodged. Cut the stems at an angle and remove any leaves to the point of insertion into the foam. Take care with proportions ensuring that the chosen floral materials are suitable for the container. The foam should not be visible however a space should be left at the rear of the flower arrangement for the occasional addition of water. 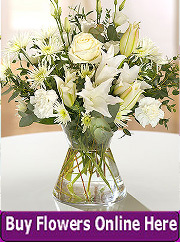 Ensure that the choice of flowers and colours is appropriate for the occasion. Lightly mist spray the finished arrangement. Choose a range of flower shapes such as rounds, spikes and intermediate shapes for the flower arrangement to engender interest and transition. Foliage is very important and should not be chosen just to cover the structure of the arrangement. There is a myriad of choices that can be made however the florist should employ at least two or three different types of foliage. Carefully chosen foliage can significantly enhance any arrangement and indeed some arrangements can consist entirely of foliage. If using other accessory materials such as baubles, ribbons, soft toys etc. 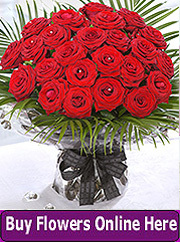 ensure that these are in keeping with the tone and style of the flower arrangement. 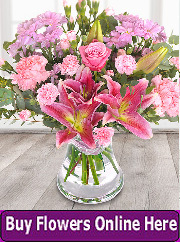 The choice of floral containers is almost unlimited and includes, glass, plastic, crystal, china, terracotta, and wood. The occasion will determine the choice of the container however all containers must be clean and fit for purpose. It is important that the colour of the flower arrangement container is complementary to the design and tone of the arrangement. The majority of flower arrangements use florists foam as a base. There are a number of brands and types of foam that are commercially available. All must be soaked correctly by following the manufacturers instructions. Foam should never be plunged into water as this may damage the integrity of the structure and may leave dry patches in the foam. Place the foam in a basin of water and allowed to soak for a period of time, depending upon the size of the block. A large block of foam should be soaked sufficiently after ten minutes. Unused foam should be preserved in plastic or polythene wrapping however if it dries out it cannot be reused as it will not take up water on a second occasion. It is better and easier to cut the foam to suit the size of the container after it has been soaked. When the foam is place in the container there should be enough foam above the rim so that stems can be inserted at an angle. A florists frog should be used to secure the foam in the container. Pot tape should also be used to further secure the foam.